The PGA TOUR announced today that Dustin Johnson has been named the 2016 PGA TOUR Player of the Year as voted on by the TOUR’s membership for the 2015–16 season. PGA TOUR members who played in at least 15 official money events this past season were eligible to vote. The balloting process ended on October 7. Johnson, 32, of Myrtle Beach, S.C., fashioned a career-best three wins during the 2015–16 season at the U.S. Open, World Golf Championships-Bridgestone Invitational and BMW Championship. With his record-breaking victory at the BMW Championship at Crooked Stick Golf Club, Johnson took over the lead in the FedExCup and ultimately finished second to Rory McIlroy in the season-long competition. In 22 starts, Johnson had a TOUR-best 15 top-10 finishes with 21 made cuts. In addition to his three wins, he posted top-three finishes at the RBC Canadian Open (T2), Shell Houston Open (3) and the Memorial Tournament (3). 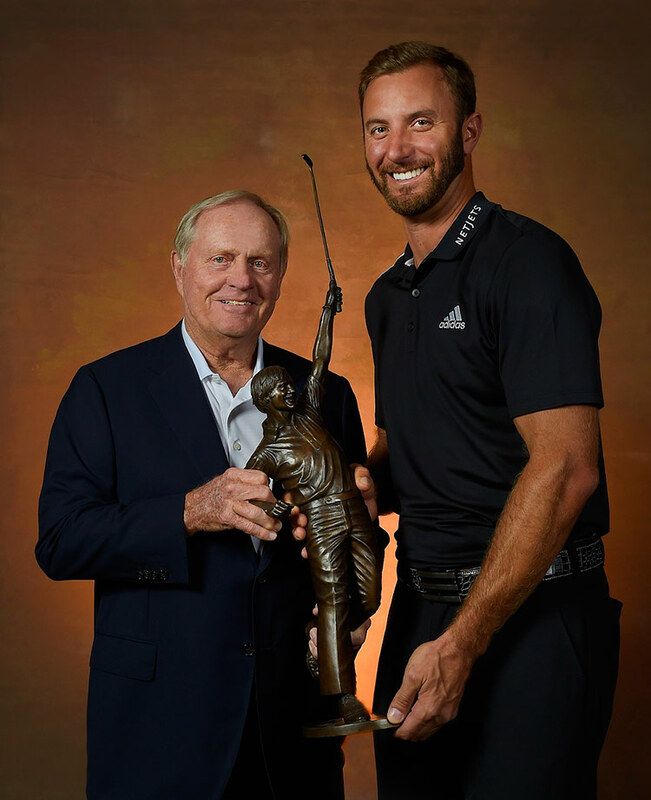 Johnson also took home the Byron Nelson Award for Adjusted Scoring Average (69.172) and the Arnold Palmer Award as the TOUR’s leading money-winner ($9,365,185). Johnson has now won at least one PGA TOUR event in nine consecutive seasons dating back to his rookie season in 2008, the longest active streak on TOUR. Johnson, who will receive the Jack Nicklaus Trophy for winning PGA TOUR Player of the Year, was selected for the honor over Jason Day, Rory McIlroy, Adam Scott, Jordan Spieth and Henrik Stenson. The PGA TOUR is the world’s premier membership organization for touring professional golfers, co-sanctioning more than 130 tournaments on the PGA TOUR, PGA TOUR Champions, Web.com Tour, PGA TOUR Latinoamérica, Mackenzie Tour-PGA TOUR Canada and PGA TOUR China. Worldwide, PGA TOUR tournaments are broadcast to more than 1 billion households in 227 countries and territories in 30 languages. Virtually all tournaments are organized as nonprofit organizations in order to maximize charitable giving. In 2015, tournaments across all Tours generated a record $160 million for local and national charitable organizations, bringing the all-time total to $2.3 billion.